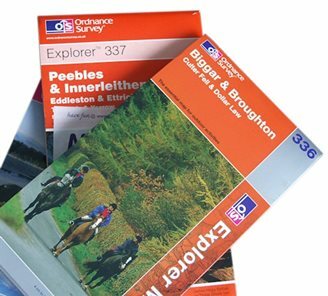 Ordnance Survey Area Maps of Peebles and Surrounding Area - LANDRANGER and EXPLORER seriesPeebles - The Royal Burgh : Visit and discover the County Town of Peeblesshire. The official website. Sheet 336 details the area from 4 miles West of Peebles. 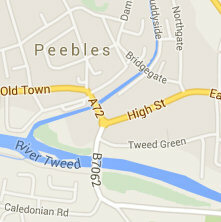 As well as tracks and roads, it also details The John Buchan Way which leads from Peebles to Broughton. 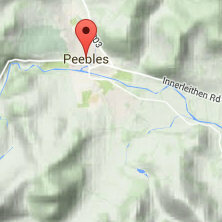 Sheet 72 details the Western part of the Scottish Borders area from 4 miles West of Peebles. Caberston forest has a network of walking and horse riding trails. A most peaceful forest, ideal for spotting wildife. 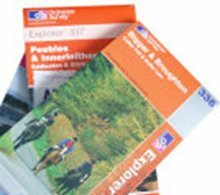 Ideal for walking, cycling and horse riding. Cardrona forest has a network of walking and horse riding trails. Glentress is the top visitor attraction in the Scottish Borders. 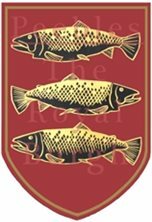 There are 12 miles of walking trails and opportunities for horse riding and orienteering. 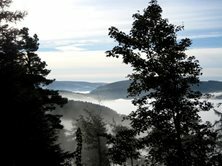 The largest forest in the Tweed Valley, Ideal for cycling and horse riding and also has a few opportunities for walking.